Subject: BRITISH LOTTERY END OF YEAR BONANZA!!! BRITISH LOTTERY END OF YEAR BONANZA!!! Europe/America private international e-games organizers and co-sponsors,BRITISH LOTTERY, officially bring to your notice the final draw result of 2006 end of year BRITISH LOTTERY-wheel E-game which was conducted at our international corporate office complex in The United Kingdom. 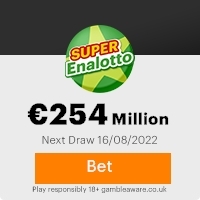 Your e-mail address attached to ticket number 56475600545-188 with serial number 5388/02 drew lucky numbers 7-14-18-31-45, which consequently won in the 1ST category, you have therefore been approved for a lump sum pay out of 2,500,000USD(Two million,five hundred thousand dollars).CONGRATULATIONS! Most recently this foundation set up the NEW LOTTERY SCHEME to award prizes based on COMPUTER BALLOT SYSTEM.By doing this the foundation seek to encourage the use of Internet for academic and business pursuits.Its major aim is to promote music,theater,art,literature,projects in the social and political arena with a focus on health,as well as science,research, and higher education.We wish to congratulate and inform you on the selection of your email coupon number which was selected among the 45 lucky consolation prize winners. Due to mix up of some numbers and names, we ask that you keep your winning information confidential until your claims have been fully processed and your money remitted to you.This is part of our security protocol to avoid multiple claims and unwarranted abuse of this program by some members of the public. All participants were selected through a computer ballot system drawn from over 20,000 company and 30,000,000 individual email addresses and names from all over the world. This lottery was promoted and sponsored by a conglomerate and a group of multinational companies in Europe as part of their social responsibility to the citizens. This Lottery Program Jackpot is the largest ever for British Lottery. The biggest was the $363 million jackpot that went to two winners in a May 2000 drawing of The Big Game, Mega Millions' predecessor.Your fund is now deposited in an offshore bank with a hardcover insurance. Program Warning!!! Fraudulent emails are circulating that appears to be impersonator using our names and addresses,but are not from the LOTTERY ONLINE PROGRAM PLEASE REPORT IMMEDIATELY TO CUSTOMER CARE/COMPLAINTS DEPT. Note: Participants below 15 years are automatically disqualified. All e-mail transmission/correspondence are 100% protected by our Secured Socket Layer (SSL) server. This Email with the Subject "BRITISH LOTTERY END OF YEAR BONANZA!!!" was received in one of Scamdex's honeypot email accounts on Tue, 21 Nov 2006 16:52:03 -0800 and has been classified as a Generic Scam Email. The sender shows as "BRITISH LOTTERY" <britishlottery17@rediffmail.com>, although that address was probably spoofed. We recommend that you do not attempt to contact any persons or organizations referenced in this email, as you may expose yourself to scammers and, at the very least, you will be added to their email address lists for spam purposes.